When we say we are Your Partner In Success, we mean it! Whether it is the jewelry industry, the funeral industry or the ground transportation industry, we support our clients by sponsoring industry trade shows such as the upcoming LCT Show. Industry trade shows facilitate networking between peers, educational sessions, fundraising and of course a showcasing of the latest and greatest products for the industry. 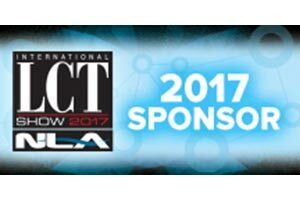 Chosen Payments is proud to once again sponsor the largest trade show in the world for the ground transportation industry. The International Limousine & Charter Transportation Show will be held at the Venetian Hotel in Las Vegas from 03/12 to 03/15. We will kick off this show by sponsoring the extremely popular, B4 Business Networking event hosted by Chosen Payment’s Marketing Manager, Jim Luff. This is a great place to meet new people in a speed-dating type format. We are also sponsoring the National Limousine Association’s annual meeting. We strongly support the NLA, their causes and fundraising efforts. You will also find us at their fundraising event and of course we are donating to their silent auction. We are excited about spending time with our clients at our Legendary Party. This private appreciation party gives us the opportunity to share a cocktail with you and dance the night away in a luxurious private suite. Look for your invitation. And, of course we are again a sponsor of the annual Limo Patriot Ride, a great fundraising event benefitting the Semper Fi Fund to help wounded sailors and Marine’s returning from combat duty. We not only support the industry, but the causes the industry feels are important. Please stop by our booth where we will be offering complimentary massages, fun green screen photos, a prize wheel with a chance to win $500 cash and of course get to visit your Chosen Payments account rep. We look forward to seeing you at the show.